Realtime Sunlight Wallpaper is an application which sets your wallpaper to an image of the Earth's sunglight/darkness - updated every 30 minutes. 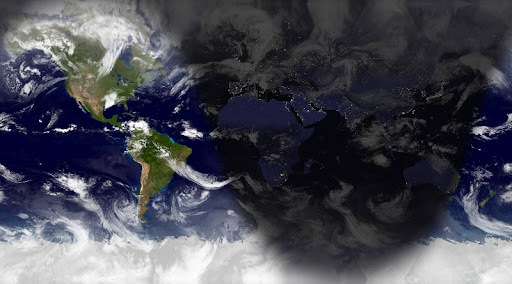 The wallpaper also displays clouds which are updated every 3 hours with the current weather satellite imagery. A few days ago, version 0.3 was released which adds options to change the wallpaper style and background color. I wanted to write about Realtime Sunlight Wallpaper back when version 0.3 was released, but the application failed to start for some users (including myself). Luckily, a new version (0.3.1) has been released today which fixes this. 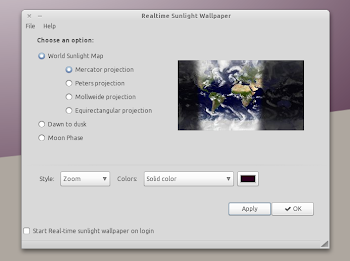 Update: the Ubuntu 10.04 Lucid Lynx dependency bug has been fixed so now Realtime Sunlight Wallpaper should install in Lucid too! 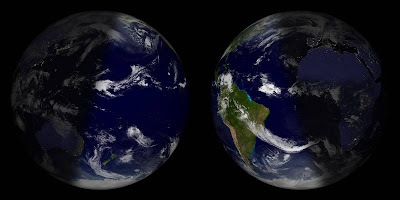 Once installed, launch it from Applications > Accessories > Real-time Sunlight Wallpaper. 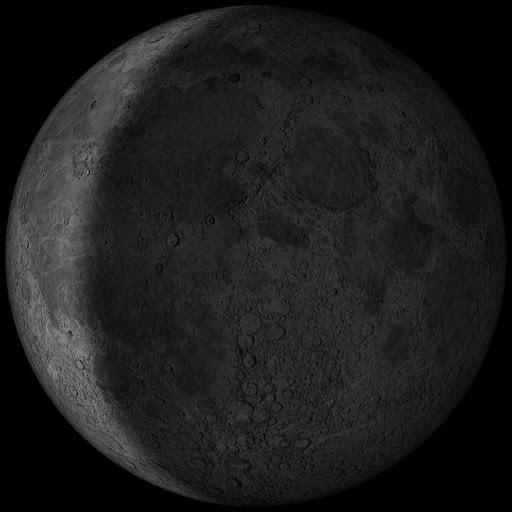 From the application's options you'll be able to select the World Sunlight map projection, use the Moon phases instead, make the wallpaper start at login and so on.